Give me your heartwarming, tear-jerking, laugh-out-loud-in-all-the-right-places contemporary. Make me feel all the feels! I want sincere, relatable characters—with personalities and voices that leap off the page—and I'm open to heavy issues handled with honesty and grace. Examples of contemporary styles I'd love to see: Front Desk; The Vanderbeekers of 141st Street; The Charming Life of Izzy Malone; Lemons; The Misadventures of the Family Fletcher; The Meaning of Maggie. I love when the bit of magic in the midst of everyday life is the thing that gives the MC hope and/or is part of a strong emotional journey. As with contemporary, I'm open to weighty themes, and my favorite characters are the ones who never give up, even if things don't turn out the way they thought they wanted them to. Examples: Where the Watermelons Grow; anything by Natalie Lloyd; Hour of the Bees. In this dish, I'm looking for very specific ingredients. The key seasonings: humor and heart (are you sensing a pattern yet?). If you have a rollicking fantasy adventure with quirky characters, kooky settings, and/or over-the-top villains and heroes, order up! Badass heroines also a plus. I do enjoy more serious quests, but I connect most when they involve family and/or friendship, with a strong character arc. And I am open to animal/non-human MCs! But, I prefer the stylings of Fenway and Hattie, The Wind in the Willows, or The Wild Robot. Stories in the vein of Wings of Fire or Warriors aren't really my cup of tea. Examples: The Mad Wolf's Daughter; Fortunately, The Milk; The Very Nearly Honorable League of Pirates; Pugs of the Frozen North; Charlie and the Chocolate Factory; Flora & Ulysses; Alice's Adventures in Wonderland. Any and all conundrums—whether a lost treasure, a brain-tickling puzzle, or a whodunit murder mystery. My favorites have larger-than-life characters/settings and a compelling emotional backdrop. Examples: The Flavia DeLuce novels (I know these are technically adult, but the MC is 11 and I adore them); The Mo and Dale Mysteries; Last in a Long Line of Rebels; Escape From Mr. Lemoncello's Library; The Mysterious Benedict Society. One of my absolute most favorite reads of the last year was The Care and Feeding of a Pet Black Hole. This book showcases some of my favorite things: It's part contemporary, featuring a well-handled weighty topic (the death of a parent), part...let's call it "science-fantasy" (aka a pet black hole), with a ton of laugh-out-loud humor and tear-jerking heart. It's also set in the 70s—while I'm not looking for historical fiction per say, I love books set from 1970-1990s if that setting serves an important purpose or tone in the story (in this case, the space program played a pivotal part in the plot). If your book can be comped to this...I WANTS IT. Super dark scary/horror/paranormal. Scooby-Doo- or Ghostbusters-level, goofy ghost stories are okay (à la The Ghosts of Tupelo Landing), but if your book is meant to be the middle grade version of The Shining, it's going to be a pass from me. Good news: There are plenty of other mentors on the hunt for chillingly creepy novels. • Genres are listed in no particular order. • #OwnVoices welcome! I'm also open to diverse topics not written from an own-voice author, if they've been well-researched. For example, if you submit a novel to me with a bipolar character and you are not bipolar yourself, I will ask what sources you've used, people you've talked to, and whether you've had it read by a sensitivity reader. • No matter which of these genres your book falls in, the biggest hook is going to be voice, voice, voice! • Angry llama defensive skills (Seriously, I have experience with angry llamas. It turns out you really don't put Baby in a corner, even if you're just trying to groom her.) This fact brought to you by fellow mentor, Michael Mammay. Thanks so much for reading and for considering me as a mentor! 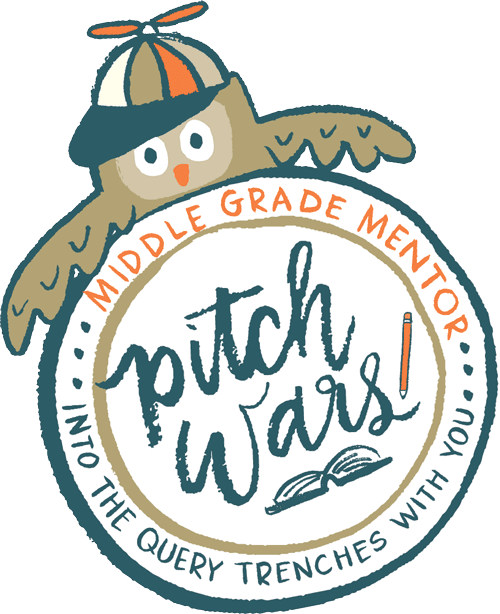 I was a Pitch Wars mentee in 2015 and my book went through plenty of revisions—so I know how hard and nerve-wracking and exciting and terrifying this process can be. I also know how much it means to have someone believe in you and your story, and I can't wait to come alongside you and cheer you on! If you have any questions, feel free to comment below, or hit me up on Twitter (@papergram). Now go check out the other mentors' wish lists! In order to enter Pitch Wars you need three things: First, a completed manuscript, second, a query letter. And that third thing is...a synopsis. Yes, the dreaded synopsis. It's practically a 4-letter word in the writing world. They're notoriously difficult and writers everywhere balk at the idea of having to condense their beautiful novels into a few paragraphs of factual prose that give away the ending. Tell us authors we have to write one and we'll go all April Ludgate on you. As much as you may hate the prospect of writing one, if you're serious about getting published, you're going to need a synopsis sooner or later. Now, if you're planning to enter Pitch Wars, no mentor is going to reject a stellar novel over a mediocre synopsis (after all, we're here to help you improve these things), BUT it's a really good idea to take the time to learn the basics now. Why? Because 1) It shows you've taken the time to research what it requires to query a novel and you've come prepared, 2) Writing a synopsis can help you spot potential problems in your story and give you the opportunity to fix or strengthen those areas before submitting. But why do some agents request a synopsis? Agents get hundreds of submissions in their inboxes every week. Your sample pages are going to give an agent a glimpse at your main character, voice, and writing prowess (and hopefully hook them with all those things), but a synopsis gives them a more detailed view of your story, plot, and character arc before they commit to reading through your entire manuscript. Not all agents request them, but it's better to have one and not need it, than be scrambling to write one once it's requested, or to limit your querying options to only those agents who don't specifically list them in their submission guidelines. The answer—it completely depends on the agent you're querying. The general rule of thumb is 1-3 pages. My suggestion? Create a one-page synopsis (this is what you'll need for your Pitch Wars submission) and only go longer if the agent's guidelines state they want a longer version. Now, before you panic about the prospect of having to write two different synopses, it's important to remember that when writing a one-page synopsis, it should be single-spaced, but when you move to multiple pages, it should be double spaced. My synopsis for my middle-grade novel, FOLLOW ME, was one full page (just under 600 words) single-spaced. When expanded to double-spaced, it becomes two pages. So if an agency specifically asks that your synopsis be no less than 3 pages, chances are you'll only need to add one more page, or 300 words or so. What should my synopsis include? Your main character, sidekick/love interest, antagonist, inciting incident, main plot points, climax, resolution and ending, with your MC's emotions, reactions, and character development sprinkled throughout. The general rule of thumb is to name no more than 3 characters, and to identify everyone else by their role (mother, co-worker, teacher, etc.). Now, I freely admit I broke this rule and named 5 characters in my synopsis for FOLLOW ME. But as with all writing "rules" I learned the rule first, then made sure I had a firm reason for breaking it: It was important that agents knew who my MC's mother was, and my MC's mother and brother play a crucial role in my story's climax and I hated how wordy and cumbersome it was to keep repeating "her mother" and "her brother" throughout the last paragraph. What are some basic tips for writing a good synopsis? On a hot and sunny afternoon, Marge goes to the beach to relax and take a swim, and while there she witnesses an argument between two strangers. Later that night, while watching the evening news, Marge is horrified to see one of the strangers' faces appear on the screen beneath the scrolling words "DEAD BODY FOUND WASHED UP ON SHORE." Marge goes to the beach and witnesses an argument between two strangers. Later that night, she discovers one of them has washed up dead on the shore. And remember, a synopsis isn't meant to be flashy or oozing with voice. It's meant to give the basic facts and show the story arc. Wow the mentors (and agents) with your sample pages and stick with the basics when it comes to your synopsis. What's the magic formula for actually writing this thing? Here's the deal...I'm not going to reinvent the wheel here. Instead, I'm going to direct you to my absolute favorite synopsis-writing formula of all time: HOW TO WRITE A 1-PAGE SYNOPSIS over at Pub(lishing) Crawl (also my favorite writing blog name of all time). There may not be one magic formula to rule them all, but in my opinion, this one is pretty dang close. It's the one I've found the most helpful, and the one I used when I write my own. Not only does it take you step-by-step through creating your own synopsis by using question prompts, in bonus nerdy brilliance it uses Star Wars as an example. Now that you're ready to tackle the dreaded synopsis, take a deep breath. You can do this. And you're totally entitled to celebrate with pie/chocolate/wine when you're finished. First the basics: What is a query letter? A query is a cover letter for your submission. It tells agents (and Pitch Wars mentors) what your book is about, your book's basic information (age group, genre, and length), and a little bit about you, the author. All of this should be contained to one page, single spaced (typically 3-5 paragraphs), formatted with no indentations and double spaced between paragraphs (like this blog post). Always personalize your greeting. Seriously, this is SO important. I see agents mention ALL THE TIME that they would much rather receive a query addressed directly to them than an impersonal "Dear Agent" or even worse, "To Whom It May Concern." When querying, you should be researching each agent, looking at their wishlists and bios and submitting to those you feel would be a good fit for your manuscript. Never query an agent (or mentor!) without first making sure they represent your age group and genre. Addressing your query to a specific agent helps show that you've taken this step. Also, triple check to make sure you've spelled their name properly before you hit send. "But what about Pitch Wars?" you ask. 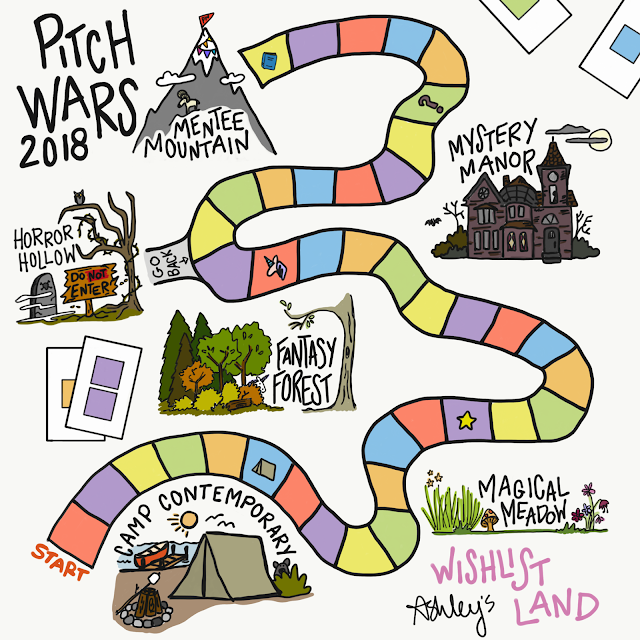 In cases of contests like Pitch Wars (or the occasional literary agency) where you submit one query to a group of people, rather than one specific person, you can still personalize your greeting with something like "Dear Pitch Wars Mentors" or "Dear [Name of Agency]." Note: I know some people address their queries to the agent's first name, but I always preferred to use Ms. or Mr. [Last Name]. If I received a reply asking for additional materials, and the agent began with "Dear Ashley" and signed with their first name (which happened 100% of the time, in my experience), then I would use their first name for all future correspondence. Option 1: Tell the agent why you're querying them specifically. I only did this if I had a reason that went beyond "You represent my age group and genre and you seem like a super cool person." For example, if you've met them at a conference, if they've posted a specific #MSWL, tweeted a want that fits your manuscript, or if you have a referral from one of their clients. If you don't have a super specific reason, or you're subbing to a contest like Pitch Wars, that's okay. There's another option. Option 2: Jump right into your book's summary. This is where you showcase your story. Think of it as the back-of-the-book blurb. A good formula is to introduce your main character, place them in the setting, add the inciting incident that thrusts your MC into their journey, the obstacle in their way, the role the sidekick/love interest/antagonist plays, a pivotal moment when the conflict increases, and what is at stake if your MC can't overcome the obstacle. Twelve-year-old Alivia Hart [MC] knows what no one else would ever believe: The woods took her mother. Now the forest [SETTING] is calling to Alivia with two words whispered on the wind..."Follow me." Alivia tells herself the voice is only in her imagination. But when a letter arrives from the Rose Grove School for Girls, [INCITING INCIDENT] Alivia must decide which she's more afraid of--a dull life of proper education, or the mysterious wood? Deep within the trees, cats can talk, white rabbits wear waistcoats, and the tea is sweet [SETTING]. But Alivia soon encounters a darkness seeping through the moss and golden leaves. [OBSTACLE] A darkness laced with family secrets and controlled by a woman intent on continuing a bloodthirsty reign. [ANTAGONIST] As Alivia battles the evil that threatens to destroy both her and the forest itself, [INCREASED CONFLICT] it becomes clear victory will not be won within the wood. In order to rescue her mother [STAKES], Alivia will have to travel to the land beneath the Wondertree and fight not just for her family, but for a crown. The most important component of your summary is stakes, stakes, stakes! Agents (and mentors) want to know who your MC is, what they want, what stands in the way of what they want, and what will happen if they can't overcome that obstacle. Also, don't give away your ending! 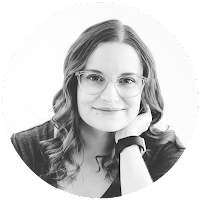 The whole point is to entice the reader into wanting more — in this case, you want the agent/mentor to be intrigued by your premise and move on to your sample pages. Some people prefer to open their query with this information, I prefer to place it after my summary. The internet has plenty of examples of both, and both are fine options. Wherever you choose to put it, you'll need to include your book's title, word count, age group, genre, and (if you have them) comp titles. For example: [TITLE] is a [#]-word [age group] [genre] that will appeal to fans of [COMP TITLES]. If you have other specifics about the book that you want to highlight (for instance, if it's #ownvoices, a retelling of a certain folktale, or immerses the reader in a specific topic, like STEM) you could include that in this paragraph as well. A note regarding comp titles: You don't have to include these. If you do, try to use recent titles published in the last 2-3 years and resist the temptation to compare your novel to blockbuster hits like Harry Potter or the Hunger Games. Also, don't call your book "the next" anything. This should come at the end of your query and, like comp titles, is completely optional. Don't feel like you *have* to come up with qualifications or interesting things to say about yourself. If you do choose to add a bio, it can include publication credits (no, you don't have to call yourself "unpublished" if you don't have any, or state that this is your first novel), education, career, professional writing organizations you belong to (like SCBWI), contests/awards you've won, etc. But keep it short and sweet; don't end up with a bio that's longer than your summary — always make sure you talk more about your book than about yourself. Now for my personal opinion on bios: Sometimes this part of your query can feel like the most difficult, especially if you don't have a writing degree or previous publications but you really want to include something. Or maybe the agency you're querying specifically asks for a bio to be included with your submission. What then? Some will say that if you don't have some sort of credentials don't include a bio at all unless you can say something relevant to your book. HOWEVER, I feel that it's perfectly acceptable to include a short one- or two-sentence snippet that gives a glimpse of your personality (something I think is nice to include even if you do have credentials to list). For example, my query bio opened with "Mom by day and writer by night, I am a firm believer in the restorative power of tea and baked goods." So I say go ahead and include a bit about yourself, or mention what inspired your story, like a trip to a certain location, or a personal experience. When it comes down to it, it's highly unlikely an agent that is interested in your book based on the rest of your query is going to get to your bio and say, "She listed nothing relevant to her story! REJECT!" Finally, I think it's nice to close your queries with a simple expression of appreciation, such as "Thank you for your time and consideration." Then you can sign off and include your contact info (mailing address, phone number, email) underneath your name. Once you've finished writing your query, it's a good idea to pass it along to a CP for further edit suggestions or even just a friend for proofreading. Another pair of eyes is always a plus before you hit send! It's easy to stress over your query letter. Boiling the essence of your story down to two or three paragraphs can make you want to tear your hair out. But mentors aren't looking for perfection. We do want to see that you've taken the time to learn the basics of what should go in your query BUT we can always work on improving it if needed. Do your best, focus on making sure that your MC's stakes are clear, and from there hook us with the writing and voice in your sample pages. And with that, I leave you with a message from Motivational Fox. Timing is everything. Or so they say. The problem with timing is that it’s often out of our control and isn't usually concerned with our opinion on how quickly it should move. There are few times this is better illustrated than when you’re working toward a dream. Dreams are rarely instantaneous, just-add-water-and-viola sort of things. And if that dream involves the publishing world, buckle up and enjoy the ride. For most of us, it will be proceeding at a snail’s pace. I hope you brought some snacks. But the idea of timing, while frustrating at times, has also become a source of comfort for me when I feel stuck in the middle, between where I am and where I hope to be. As a Christian, my personal belief is that timing is all about God knowing what’s best for future me better than I do. But whether you believe things happen as a result of divine orchestration, or fate, or serendipity, or pure chance, I would bet you’ve uttered the phrase “perfect timing” at least once in your life. I've been thinking about this a lot lately—how perfect timing doesn't usually feel perfect in the moment. More like everyone else is speeding past you while you're standing still and screaming at them to WAIT UP like an irate toddler. If my agent had signed me for the first book I submitted to her (almost 5 years ago), I would have never entered Pitch Wars. I would have never formed the close-knit friendships that have sustained me through the ups and downs of the writing process. I would never have had the opportunity to mentor other writers and their beautiful stories. Not only that, but I was a fairly new author, it was my first children’s book, and I was still ignorant (and in many ways just naive) about so much of what it takes to write and publish great stories. I’d never experienced the self-imposed pressure and expectations that come with writing book #2 (or #3, or #4). I hadn’t yet questioned my dream, or wondered if it was all worth it. If I’d gotten everything I’d hoped and dreamed of in that moment five years ago, quite frankly, it probably would have wrecked me. In the moment, it felt like failure. Now, I look back with gratitude for how things have ultimately progressed. And therein lies the comfort. So much is out of our control, but if we have faith in the process and trust the timing, we can believe that we will be better for the wait. And we can believe that the wait isn’t just about us, but about that one kid, out there in the universe, who will pick up our book one day...at just the right time. *Annie F. Downs is one of my favorite humans on the planet. We're not, like, IRL friends or anything, but I wish we were. Go listen to her podcast: That Sounds Fun. Note: If you don't know your personality type, I highly suggest taking the 16Personalities test. The day I discovered I'm an INFJ and read my first personality profile, it was like WHO ARE YOU AND HOW LONG HAVE YOU BEEN SPYING ON MY LIFE? Suddenly, all my weirdness made sense. As I continued to learn about common strengths and weaknesses for my personality type, it was illuminating not just for my everyday life, but for my life as a writer. Struggle: We tend to be more sensitive to criticism and critique. Why this can be a problem: If you're going to write a book, you're going to need critiques and you're going to face criticism. What you can do: Realize that critique of your work is part of the process and business of being a writer. And it is NOT personal. When your critique partners read your latest manuscript and come back with suggestions, it's easy to get defensive. It's also easy to despair. Resist the urge to get sucked into either of those whirlpools. Find writing partners you trust and then remind yourself that they don't hate you or your book, no matter how many comments they make on your manuscript. In fact, they want to help you succeed. Critique is essential to growth and success as a writer—and FYI, none of us ever reach a point where we've "made it" and no longer need feedback. If it's not coming from your CPs, it's going to come from an agent or an editor. Learn to see this part of the writing life as a positive, not a negative. Criticism can be a harder beast to face. My advice? Don't dwell on it. I know—easier said than done. But again, it's par for the course as a writer. Reading is subjective. What one reader thinks is amazing, another might hate. Think about all the books you've loved...and the ones you didn't. Yes, it might feel like a personal assault when someone dislikes our book, but in the end, it's just one person's opinion, and we don't have to let that opinion become part of our identity—as a person, or a writer. Struggle: We can be extremely private. Why this can be a problem: We try to go it alone. What you can do: Find yourself a community of writers who know what you're going through. You don't have to tell them every detail of your life, but having friends who understand the ups and downs of the writing life—and who can offer encouragement and a safe space to feel all the feelings that come with it—is essential to staying emotionally healthy as a writer. Struggle: We tend to be perfectionists. Why this can be a problem: We can be tempted to quit in the first draft, or edit and revise for ages, convinced our words are never good enough. What you can do: Learn that first drafts and perfection do NOT go together. Writing is messy and it takes time. Find trusted CPs and send them your work even when you know it's not perfect. In order for that manuscript to grow up into a book, it has to leave the nest. It will be okay, and so will you. Struggle: We hate feeling like we're not making progress, routine tasks are an annoyance, and interruptions push us over the edge. Why this can be a problem: Cranky writer snaps at anyone and anything that causes delays in their writing goals or interrupts writing time. Despair sets in and we begin to question our life choices. Is this really worth it? Is it ever going to happen? I should just give up. What you can do: First, give yourself grace. Life happens. Sometimes you have a week where everything goes according to plan and you hit your daily word count goal with ease. Other weeks, the kids get sick, or appointments stack up, or bad news leaves you mentally and emotionally exhausted. You're lucky if you manage a paragraph. Realize that this is okay. It may be frustrating, but it's also out of your control. Secondly, learn to prioritize. 99.9% of the writers I know (including myself) don't write full time. We're also students, employees, business owners, SAHMs trying to juggle writing and motherhood...all with tasks that *aren't* writing screaming for our attention. It's easy for writing to become that thing we do when we've managed to get everything else done. I don't know about you, but I have a strong tendency to get overwhelmed by the length of my to-do list, and I don't always prioritize that list very well. I want to check everything off the list as quickly as possible, but what I need to do is decide what HAS to be done today, and what can wait until tomorrow or the next day. If I have a graphic design job that's not due for two weeks, I don't have to finish it in the next eight hours, I can space it over the next few days. As much as I hate the stack of dirty dishes next to the sink, they'll still be there after a quick writing session. Figure out what part of your day is going to be the best time for writing (said time may shift from day to day), and when that time comes, write. For me, it's usually in the afternoon when the kids' homeschool work is done and they're free to watch cartoons or play video games. Sure I could be tempted to tackle that stack of dishes, but it's a lot easier to write during that window of relative peace and quiet. Later, when the husband is home and the kids are running wild through the house with their Nerf guns, and the dog is barking because the neighbors have dared to pull into their driveway—then I can do those dishes. Struggle: We tend to neglect self care. Why this can be a problem: Creative burnout is a real thing. What you can do: This goes along with the last problem, in that it's easy to push yourself TOO hard to juggle life and responsibilities AND write your novel. That's why balance—and knowing when to take a break—is so important. Confession—when I'm deep in a project, writing or otherwise, I forget to eat. Yeah, you're not the first person to make that face at me. This is the point where I usually lose people. I have a couple of friends who totally feel me on this, but most folks hear that and are horrified. ("You forget to EAT? How is that even possible?") Turns out it's an INFJ quirk. I mean, I'm in the middle of a five hundred-word streak! Having to stop and make food is SO annoying. Do you know how long it takes to microwave that noodle bowl? Four minutes! I just...give me a second...if I don't write this down, I'll forget this brilliant line...it's okay, I had breakfast this morning...I think...how long have I had to pee this bad? Even on days where the words aren't flowing, it's easy to spend hours trying to squeeze something out of your brain and through your fingertips. When you're not actively writing, your mind is still swirling, trying to craft that perfect sentence or fill in that plot hole. Soon you're tired and cranky and your brain is mush. Every sentence sounds idiotic. Your anxiety is skyrocketing and you're convinced you're a sham—you'll never be a successful writer. Who were you kidding? Whut R werds? This is your hint that you need to take a break. Rest. Do something that inspires you creatively and/or relaxes your mind and body. Take a walk. Listen to music. Watch a film or read a book. I'm not a person who believes you have to write EVERY SINGLE DAY in order to be successful. In fact, I've found that I'm much more successful at meeting my goals if I include consistent breaks and moments of rest. Take time to recharge. Your manuscript will thank you. And when you do get back to writing? Take a muffin with you. I'd love to hear from you! Did you connect with any of these struggles? What strategies have you implemented to help you overcome? This post is also appearing on To the Shelves - be sure to check out the other great writing tips available on the site!